The college basketball season has barely begun, but the news has been mostly bad. First, the sport was rocked by allegations of corruption and scandal weeks before preseason practice even began. Reports surfaced that the FBI had been investigating all types of things from under the table payments to high school players to phony names on shoe contracts. 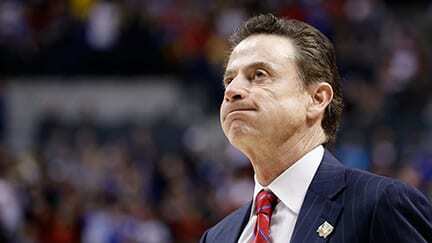 Five assistant coaches were initially arrested, but the biggest name bounced thus far is Hall of Famer Rick Pitino. He was canned by Louisville despite his admonitions that he was totally unaware of anything illegal going on, and that he should remain on the job until an investigation by the NCAA determined his involvement, and whether any rules were broken. Both Pitino and the athletic director who hired and had retained him through other scandals were terminated following the release of the report, and Auburn’s Bruce Pearl may soon find himself unemployed once again. Pearl has reportedly refused to co-operate with NCAA officials, even as one of his assistants, former Auburn star and NBA Indiana Pacers All-Star Chuck Person, was among those indicted in the first wave of charges. There are still many areas to be investigated and probed in this situation, but last week that probe took a back seat to a fresh scandal, one involving college players and alleged illegal activities in a foreign country. UCLA, in China to play Georgia Tech in another of those international games aimed at publicizing and expanding the audience for college basketball overseas, was rocked by the news that three of their players had been arrested on shoplifting charges. LiAngelo Ball, Cody Riley and Jalen Hill were supposedly caught on video stealing sunglasses from a Louis Vuitton store next to the hotel in Hangzhou. They had been staying there before leaving for the game in Shangai. Later it turned out that there was surveillance of all three players (all freshmen) shoplifting from a total of three stores inside the high-end mall that not only includes Louis Vutton, but Gucci, Yves Saint Laurent, and Salvatore Ferragamo stores. Actually the entire Ball family better hope that the diplomats are involved, because if the book were thrown at these young men, the maximum they could get would be three to 10 years in a Chinese prison. Fortunately for them, UCLA had reached out to Chinese e-commerce giant Alibaba. They are the presenting sponsor of the Pac-12 China Game, and Joseph Tsai, Alibaba’s executive vice chairman and co-founder, is also quietly working behind the scenes to remedy things. These young men are indeed fortunate this didn’t happen in a nation where there’s no trading partnerships or established diplomatic networks. They also could have found themselves locked away indefinitely had they done it in one of the stricter theocratic societies. Bottom line is that their actions were incredibly dumb and immature, and these are not inner city kids who’ve never had any opportunities to experience the finer things in life. They are the sons of middle and/or upper class families on scholarship at one of the nation’s most prestigious universities. Let’s hope that they all are returned safely soon to this nation. Then they should each get stiff suspensions, no less than six weeks, and no more than three months. There are some calling for them to be expelled, which is far too harsh. Others think they should forfeit the season, which is also overly harsh. But they shouldn’t get their wrists slapped either, because what they did could have caused a national incident. With a buffoonish president in the White House, everyone’s conduct when they’re overseas gets put under the microscope. In this case, these young men acted like ignorant little boys. They are quite fortunate it looks like it won’t result in them being locked away for years in a Chinese prison camp.